CSSL's team of resident and non-resident experts have experience of building large scale diagnostic assessment tools in multiple languages, executing data collection and analysing more than 15 million students' data across South Asia. Having researched on student cognitive and affective learning through impact evaluation, randomised control trials, cross sectional and longitudinal studies in government and private schools, the team brings expertise in assessment theories , international standards and best practises in assessments. Vyjayanthi is the founder and executive director for Centre for Science of Student Learning. A Fulbright Humphrey fellow and an Ashoka fellow, Vyjayanthi regularly consults at the global level for the Brookings Institution, The World Bank and UNICEF and the Learning Metric Task Force. Vyjayanthi specializes in psychometrics, modern Item Response Theory, diagnostic assessments in multiple languages, curriculum and research. As founder and Vice President of Educational Initiatives Large Scale Assessment Division (2003-13), Vyjayanthi pioneered Large Scale Learning Achievement studies in South Asia with nearly 90 research and assessment projects covering 15 million students and teachers. The most recent and prominent ones are the 18 state ‘Student Learning Study’ done with support of Google, the ‘Annual Status of Student Learning’ in Bhutan done under the aegis of the King of Bhutan and the ‘Quality Education study’ in partnership with Wipro in India’s ‘top’ schools. Vyjayanthi co-authored the ‘National Strategy Paper for Educational Assessments’ by TSG, Ministry of Human Resource Development, India in 2012 and regularly presents in prestigious international forums like the NCME and ILTE. She is a member of GoIs SSA Joint Review Missions and served on the advisory board of the Educational Survey Division of NCERT, India. Bharti specializes in Assessment research with an emphasis in Mathematics and Science. Bharti holds a Masters in Chemistry from IIT Delhi and a Bachelors from Sri Venkateshwara College, Delhi University. Bharti brings with her an experience of working as an education specialist and project manager for 5 years in psychometric testing and large scale assessments. Her in-depth understanding of assessment frameworks and test development enables her to create assessments that differentiates between mechanical, conceptual and higher order learning. Bharti also brings expertise in managing projects and training for test implementation and data use. Recently, Bharti also worked on a research project by the Brookings Institution, USA doing secondary research on the status and capabilities of national and sub national governments across South Asian countries with a view to establish political, institutional, technical, and financial landscape for a regional learning assessment. Frederik brings international experience in managing education programmes and an understanding of research design, data collection methods, data analysis techniques and report writing. Before moving to India, Frederik worked with UNICEF Rwanda where he supported the government in the pre-primary education sector in terms of policy development, capacity building and the introduction of innovative assessment methods. He was involved in the Learning Metrics Task Force discussions, coordinated by the Brookings Institute and UNESCO to improve learning outcomes for students in Eastern and Southern Africa. Frederik was born and raised in Belgium where he acquired a MSc in Clinical Psychology, an Adv. MSc in Cultures and Development Studies (CADES) and a Specific Teachers Education degree. During his studies, Frederik set his first steps in the field of psychological testing and therapeutic counselling as well as teaching behavioural sciences in high school and college. In 2011 and 2012, Frederik interned with the headquarters of the United Nations Development Programme (UNDP) and United Nations Population Fund (UNFPA) in New York before joining the McKinsey-led National Think Tank in the Netherlands to analyse and improve the efficiency of the Dutch health care system. Gauri has more than a decade of project management experience in managing multi-stakeholder educational programs and large scale assessments across India in Government and Private schools. At CSSL, Gauri ensures that its mega projects with governments and partner groups are well managed and executed with utmost efficiency. With a Masters in Human Development from SNDT University, Mumbai, Gauri started her career in educational research by designing curriculum and textbooks for primary school children. Gauri’s expertise in rolling out large scale assessment research projects across 18 states of India includes relationship management with Governments and Private Schools, human resource management, standardized test administration, logistics, supply chain, vendor and data management. During her career, Gauri has handled projects for clients such as Google and Wipro. Prior to CSSL, Gauri coordinated textbook development for ICICI Foundation at State Institute of Education Research and Training, Rajasthan in its School and Teacher Education Reform Programme. Nitya has expertise in K-10 content development, curation and quality assurance. She holds a Bachelor of Technology (Honours) and Master of Technology (Dual degree) in Biotechnology and Biochemical Engineering from IIT Kharagpur. ​During her time at IITKGP, she worked on optimization of the preparation of a polymer to be used in novel drug delivery and tissue engineering applications. Her research experience included stints in Tata Institute of Fundamental Research (TIFR) and Advanced Centre for Treatment, Research and Education in Cancer (ACTREC) in Mumbai. Prior to CSSL, Nitya was part of an ed-tech startup that specialized in assessments and personalized learning. 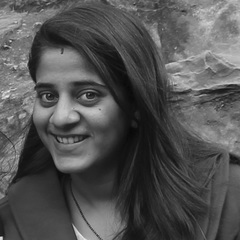 As manager of content development and senior editor at the ed-tech startup, Nitya specialized in many areas that included creation and curation of subject content, quality assurance, hiring and guiding subject matter specialists, understanding user experience, and personalization of content for individual students. Nitya’s research interests include learning about learning and developmental psychology, which she applies to language and science acquisition by students in K-10. Prateek brings expertise in research design, data collection, analysis, and government engagement. Prateek holds a B.Tech from IIT Roorkee and has experience working in Bihar, Uttarakhand, Germany, and the US across multiple fields, including political economy, crime, rural development, photonic materials, health and local governance. Working with an international think tank on a project in Bihar, Prateek collected and analysed complex crime and socio-economic data to shed light on mechanisms affecting Bihar’s remarkable drop in violent crime and its rapid economic growth. Prior to that, he was working with an International Development organization, designing an impact evaluation model to measure the effect of a World Bank funded intervention, to strengthen PRIs in Bihar. At IIT Roorkee, Prateek also worked on the GoI’s Knowledge Economy Project for developing a model village. Prateek also brings to the organization, an extensive experience in mathematical modelling and simulations. Having worked at CalTech, MLU Germany and, IIT Roorkee on complex materials sciences problems, Prateek specialises in designing mathematical models, and research studies for CSSL’s psychometrics, cognitive and affective sciences research. 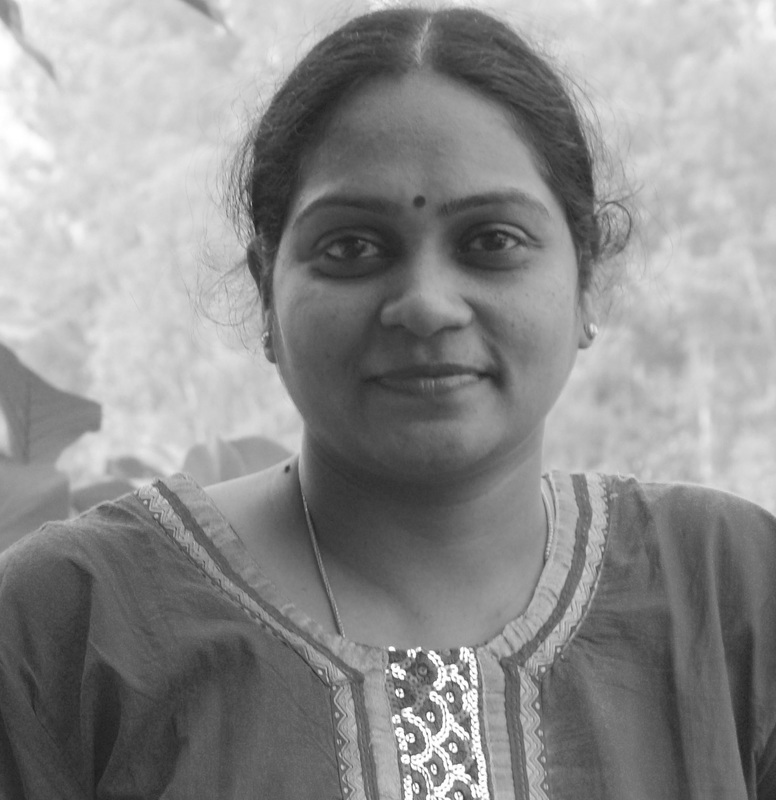 Sailaja manages the test development and training at CSSL. An M.Phil in History from Central University, Hyderabad. Sailaja’s journey in education has been as a teacher, a school Principal, an education researcher and an assessment expert. 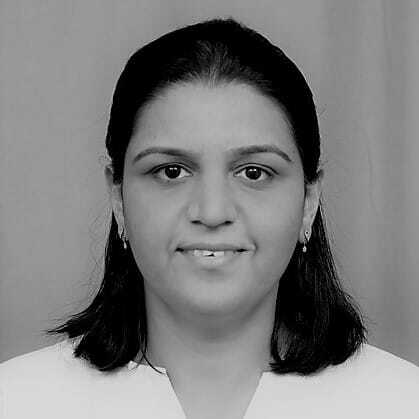 Sailaja brings with her, more than a decade of experience in test development and assessments. Before joining CSSL, Sailaja was working with an education consultancy, where she managed their course curriculum and classroom assessments’ product for Continuous Comprehensive Evaluation in Private schools in India. Sailaja was a core member of the Large Scale Assessment team at Educational Initiatives for almost 8 years where she handled test development; translation, adaptation and validation in multiple languages; training governments and NGO partners for test development, test administration, data analysis and data use for all projects. Sailaja has also developed the first regional language videos available till date in India that utilises the data from large scale assessments to explore student misconceptions in classrooms. Venkatesh is an MBA in Marketing and Operations from ICFAI Business School, Hyderabad and a B.Sc in Metallurgy from NIT Jamshedpur, Venkatesh has 9+ years of experience across fields likes Software Development, Project Management, Pre-sales, and Marketing Communications. Prior to joining CSSL, Venkatesh handled project management, presales and marketing communications for a leading learning assessments firm for almost 5 years and supported the Business team with clients like USAID, UNICEF, World Bank, DFID, Michael and Susan Dell Foundation, WIPRO, the Central and State governments. Having organized and coordinated more than 20 national level seminars for business development and disseminating information from various research studies, Venkatesh organizes research and training seminars for CSSL. With a strong practical experience in project management and client engagement, Venkatesh ensures smooth project execution and builds relationships and networks for CSSL.